Mailed check into today for 3 days, and two people ( Roger & Jaimie ) at banquet. 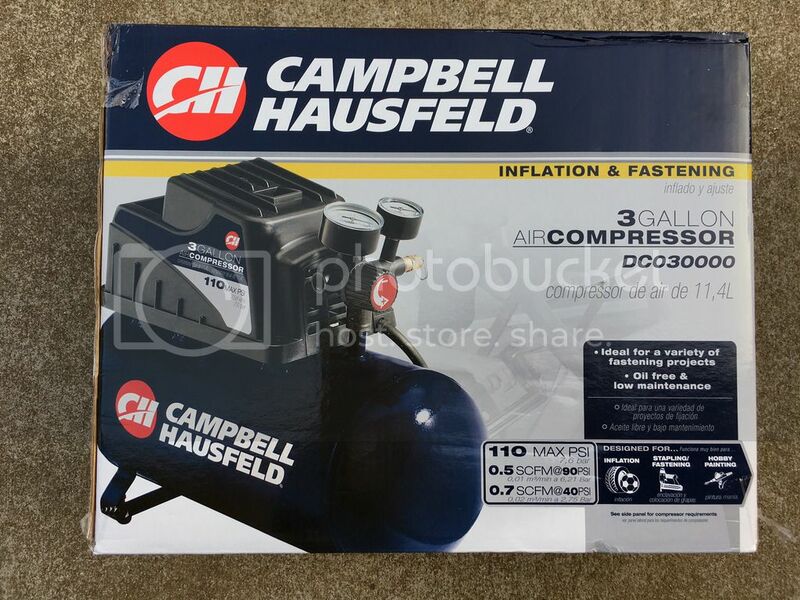 I have several Campbell Hausfeld 3-gallon compressors for sale and plan to bring them to Superfest. They are brand new and in unopened boxes. These normally retail for about $95 + tax. Very compact…perfect for the track. Please email me at 70machwon@nc.rr.com or text me at (516) 983-5585 if you would like to purchase … cost is $60. I'll be coming in on Thursday night for all three days. Looking forward to seeing all my buds that have been making secret track mods over the winter. If anyone uses 245/45/17 track tires, I have several sets of scrubs with lots of rubber that I'll sell for $150 a set. I have hankook, kumho, and bfgoodrich. PM me if interested. I also have a pair of 6 ply 14", new trailer tires. 225/75/14, I think. Those tires come off of your pinto? Can you give me a contact to make a reservation for the dyno? Will there be scales to weigh the car there too? Tony, did you get my form. No, I haven't gotten it wheelhopper. Tony, will the sign in and tech inspection areas be available any time on Friday for those of us that want to avoid the Saturday morning rush? Yes, you will get a copy of the schedule on Monday with details. Once again, my typical question... What time can we get in the gate Thursday? 4-4:30 again? Once again, depends on who is at the track on Thursday. Probably 530 pm but I'll update if it is different.